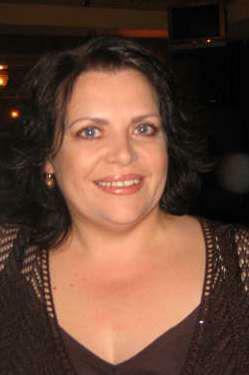 It's always a pleasure to welcome Harlequin Special Editions author Helen Lacey to MBB. 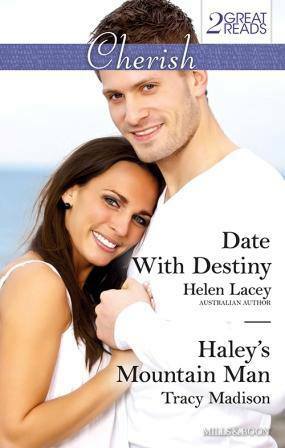 She's just released her fourth book in the Harlequin Special Editions line, another in the Crystal Point series, entitled DATE WITH DESTINY. Helen's come to tell us all about it and there's a copy of the book for one lucky person who comments, so please remember to leave a comment before you go. And if you like what you read about this book, we hope you'll consider buying a copy. ANNOUNCEMENT: The winner of Helen's giveaway is Patti P. Congrats! How does it feel to be doing a blog tour again? Getting a sense of deja vu? I’m delighted to be ‘touring’ again. I had so much fun last time connecting with readers and other authors. And this time I’m not as daunted and am much more relaxed. Plus, I love getting to connect with people again on different blogs that I may have met last time. You're a well established Harlequin Special Editions author now. Would you like to change imprints? Try something new for a change? being a writer at this time is there are so many opportunities opening up and so many different ways that as an author, I can connect with readers. What's the best thing about having a new book out? There are so many great things about having a new book out. Brand new covers…new characters to talk about on social media…new people to connect with through blogs etc. And my favourite part, which is readers sending me emails to say how much they liked the book. And the knowledge that another book is being written at the same time. What's harder, writing or publicizing? Honestly, I don’t find writing hard. I love it. I love that I can have a career doing what I’ve always dreamed of doing. I love creating characters and giving my hero and heroine their happy-ever-after. 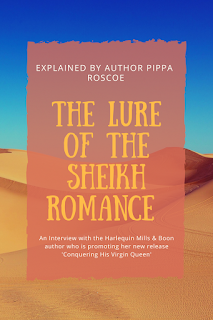 And I like the publicity side too….I love working with Nas from Romance Book Promotions and being a guest on blogs like this…doing giveaways etc. It’s all part of the journey for me and I’m grateful every day that I have the opportunity to do it. Can you sum up your book in a Tweet? The last line from the back of the book ….. He kissed her. And reawakened the passion that could change their lives…forever. Can you share your future plans? So many! I’ve just been contracted to write three more books for Special Edition which is very exciting. And I have a Single Title project in the wings and a novella…so the future looks very bright. Thank you for having me here today. 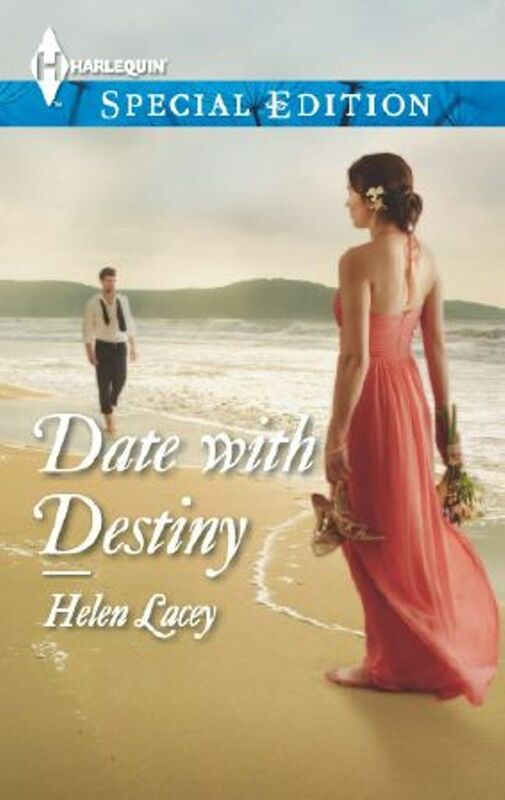 I have a copy of Date With Destiny to give away to one commenter. Financier Grace Preston did fourteen-hour days in New York City. She didn't do small towns in Australia. Not since she'd fled almost twenty years ago. But when a personal trauma sent her home-with a secret she couldn't reveal-the last person she needed was her first love. Local cop Cameron Jakowski had loved Grace for most of his life. But he wanted marriage and family and she didn't. He was small town, while she was big city-and lived half a world away. But for now she was right here-a walking, talking temptation. One he managed to avoid...until he made one mistake. He kissed her. And reawakened the passion that could change their lives...forever. Congratulations Helen! Your whole series sound fantastic! Hi Kelly, you're very welcome. Hi bn - lovely to see you here. Thanks for stopping by. Hi Cherie - it's a favourite name of mine....I was very happy to be able to use it :) Thanks for stopping by. Thanks for stopping by, bn. Cameron is a lovely name. A friend of mine in Ireland married a Pakistani and called her son that name. Then she found out it was a Pakistani name, Qamran! The blurb makes me just hope he gets his HEA. Not sure I will like her but it sounds like I am half in love with him already. Hi Patti - he is very lovable :) and I hope readers will warm to Grace as she navigates through to the rocky road of love. Thanks for stopping by. I love the Crystal Point series. Loved all four books set there, hope we can get to meet more characters from there soon! 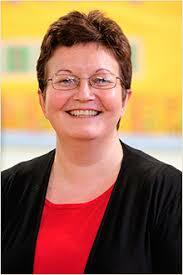 Congratulations Helen and all the best! You're very welcome to my blog, Patti. Thanks for the comment. Good to see you here as always.